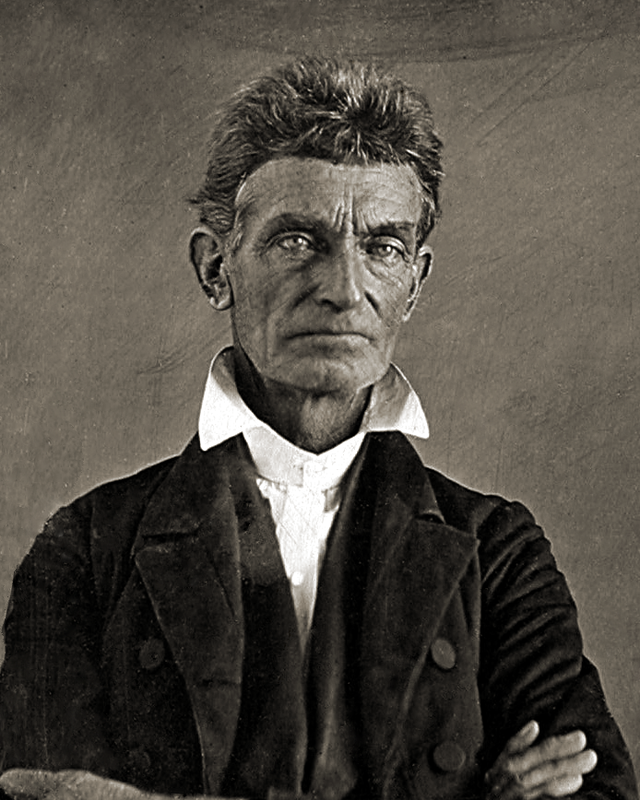 John Brown had heard enough of this talk about caution. The men at Lawrence refused to fight and the proslavery men wrecked the town. He had friends and family back around Osawatomie, in close company with increasingly belligerent proslavery neighbors and lately at least some of Jefferson Buford’s expedition of militants. The come had come to do something, whether his eldest son liked it or not. About two in the afternoon on May 23, 1856, Brown and his handpicked party left the camp they had shared with the Pottawatomie Rifles. They piled up in James Townsley’s wagon, and Theodore Weiner followed along on his pony. According to Townsley, they made it to about two or three miles short of the Pottawatomie and abandoned the road in favor of some timber land between a pair of ravines. That left them about a mile from Dutch Henry’s Crossing. After my team was fed and the party had taken supper, John Brown told me for the first time what he proposed to do. He said he wanted me to pilot the company up to the forks of the creek some five or six miles above, into the neighborhood in which I lived, and show them were all the pro-slavery men resided; that he proposed to sweep the creek as he came down of all the pro-slavery men living on it. I positively refused to do it. Or so Townsley says. If you have a copy of Louis Ruchames’ A John Brown Reader, from which I have taken both accounts, you can flip back a few pages and find Salmon Brown’s version. He maintains consistently that everybody knew what his father meant to do. They left to cheers from the men who didn’t come along. Townsley started out “in high glee,” actually volunteering to drive the group. Then Townsley “got weak in the knees and wanted to quit from sheer fear.” That would compromise the whole mission, so they could not let him bolt. Whether Townsley knew of Brown’s murderous intentions from the start or not, Stephen Oates suggests that finding out the old man meant to drag men out of their homes at night and kill them with swords might have changed his mind. One can imagine a gunshot as clean. The victim could die instantly and at a distance. Cutting apart a living person involved a whole new level of brutality from the perpetrator, even if the victim ended just as dead.